Researchers from the Institute of Psychology, Health and Society, studying the cognitive and social influences on appetitive behaviours have examined the link between plate-clearing and a person's Body Mass Index (BMI). Published in the European Journal of Clinical Nutrition the paper, entitled 'Empty plates and larger waists: a cross-sectional study of factors associated with plate clearing habits and body weight,' examined whether clearing a plate of food out of habit when eating is related to increased body weight in a sample of young adults. It also sought to identify potential determinants of plate-clearing. As part of the study the researchers asked 385 UK undergraduates questions about their food-related habits. Analysis showed those who always cleared their plates were more likely to have higher BMIs than those who did not. 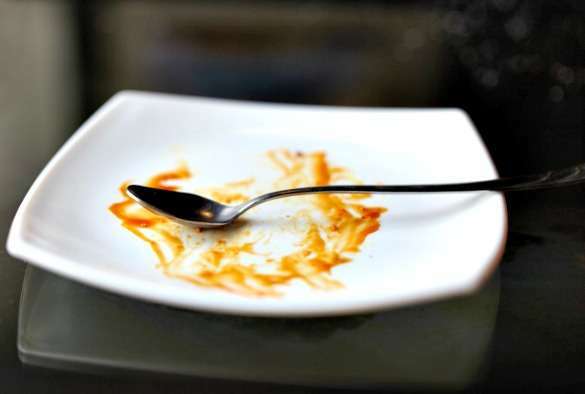 The study also examined whether parental encouragement to clear the plate during childhood and personal concerns about food waste influenced plate-clearing tendencies. The researchers, Dr Eric Robinson and Dr Charlotte Hardman, conduct research into the cognitive and social influences on appetitive behaviours. Dr Robinson was recently awarded a Medical Research Council (MRC) grant to research the effect food portion size has on energy intake. Dr Robinson said: "Given that plate clearing may not be an adaptive behaviour in the current obesity-promoting environment, the tendency or 'norm' to always want to clear one's plate when eating may be important in explaining why some environmental factors, for example, large or high calorie portions of food, appear to promote over-consumption." Dr Hardman added: "The results of the present study provide the foundations for further work to examine the underlying causes of plate clearing and longitudinal associations with early childhood experiences."